I’m a sucker for free bread at restaurants. Always. I’m technically food sensitive to wheat but that STILL won’t stop me from soaking a healthy serving of freshly baked wheat-made bread with olive oil and pepper at the table. (Please don’t judge!) But I recently went to one restaurant where the olive oil was no where to be seen. Instead, the bread basket was accompanied by a small sauce bowl of a mysterious white bean dip… and my goodness, it was a game-changer! 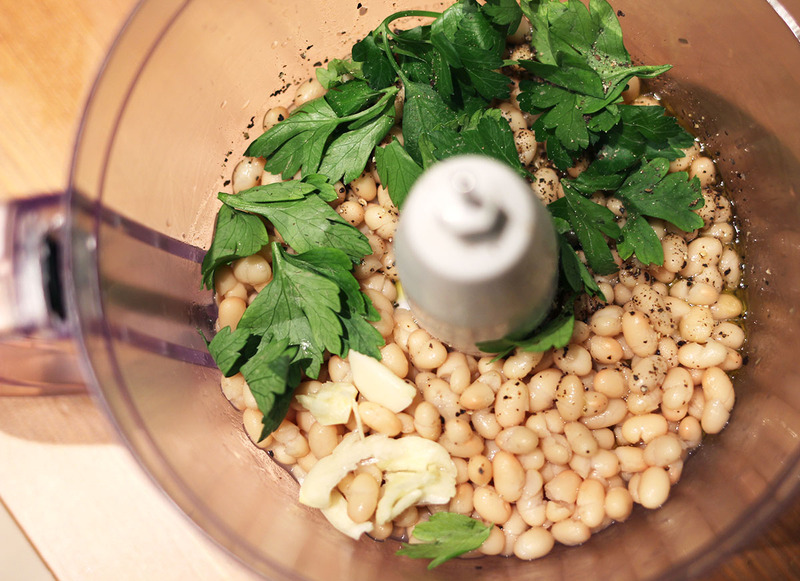 New mission: new white bean dip recipe. 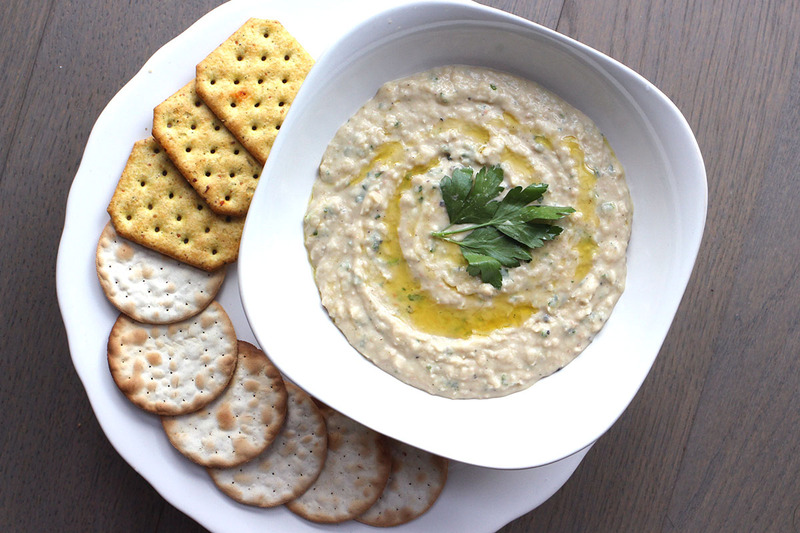 I’ve since added white bean dip to my arsenal of party-ready appetizers. It’s vegan and gluten-free and also great alternative to hummus for those sensitive or allergic to sesame. I’m already planning on having this dip ready for an upcoming gathering (Super Bowl LI) alongside my signature loaded guacamole! Packed with flavor from fresh parsley, garlic, and a generous sprinkling of pepper–I love pepper–this easy, “one-bowl” dip is sure to be a crowd pleaser! Just serve with crackers or pita chips, fresh veggies, or bread and you’re all set. As always, thank you so much for stopping by! 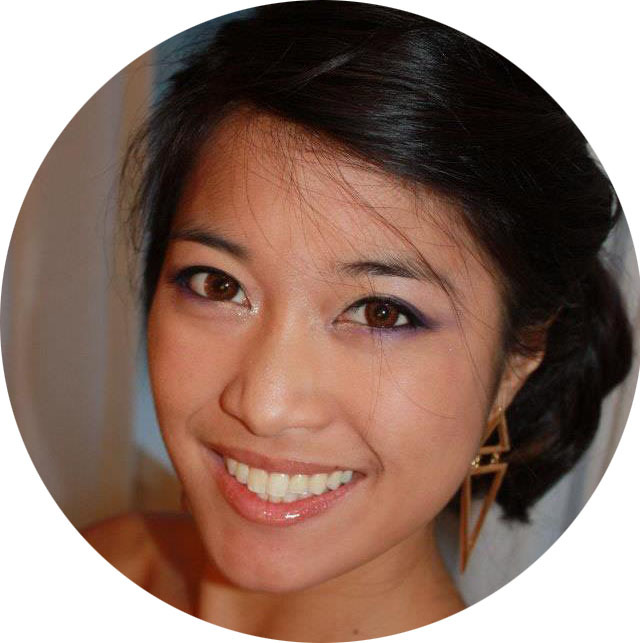 Are there other types of recipes that you’re looking to see? Or anything that you like or don’t like? I’d love to hear from you so please leave YOUR thoughts in the comments below. Hope to see you around again soon! 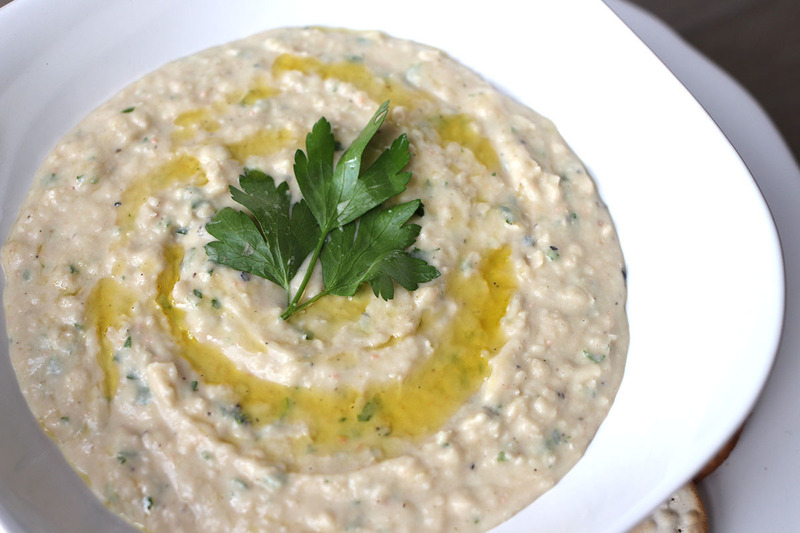 A delicious and easy white bean dip recipe with garlic and fresh parsley. 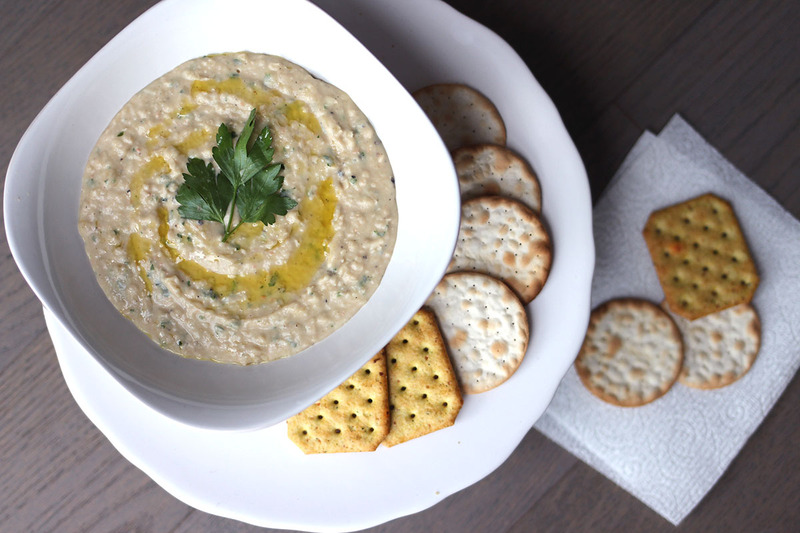 Vegan and gluten-free, this easy white bean dip is a party essential. Place all ingredients in a food processor. Pulse until blended smooth. Scrape down sides of bowl as needed. Transfer to a bowl and (optionally) drizzle with a small amount of olive oil. Serve with pita chips, crackers, fresh cut vegetables. Enjoy! *Using roasted or sautéed garlic will enhance the flavor while reducing the "bite" of raw garlic. If timing and resources allow, I recommend this over raw garlic!